Costa Rica will host the first lesbian event in the Central American region, the Ella International Lesbian Festival, an event that will put Costa Rica on the map as a tourism destination for the lesbian and LGBTQ population. The activity which this year celebrates its 6th edition in Mallorca, Spain, is a culture, music, art and sports Festival “thought for the modern lesbian woman” where more then two thousand women from different countries in the world gather. The Ella Intl. 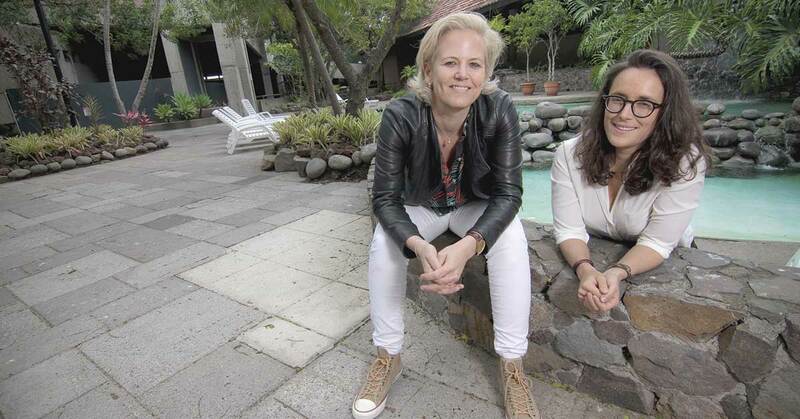 Lesbian Festival will take place in Costa Rica in 2019 with a date still to be determined; this will be the first time the Festival will be held outside of Europe. Participants take part in motivational speeches, tours, gastronomy festivals, night parties and beach activities. “We organize this event to bring visibility to the lesbian and bisexual woman, and offer a unique tourism offer. We focus on the cultural exchange an getting to know the country we are in, the gastronomy and culture”, commented Kristin Hansen, CEO of Ella. According to Hansen, the Lesbian population differentiates from the Gay population in that Lesbians prefer a cultural connection and experience instead of the party scene. Bringing the event to the country is an initiative of the Costa Rica Diverse Chamber of Commerce and the organizers of the Festival. “We want to show the country that LGBTI tourism has an real economic impact. This demographic of visitor spends three times more on average than the rest, and their priorities are wellness and the purchase of goods”, commented Julio Cesar Calvo, President of the Costa Rica Diverse Chamber of Commerce. “Costa Rica is actually the safest Central / South American destination for LGBT travellers, and we are very much looking forward to offer you an amazing trip to this wild and generous country, together with women from all over the world”, states the Ella Festival website. Those interested in attending will be able to purchase different travel packages. We will update with details closer to the time of the event.